Just installed these brand new LED bulbs in my rear indicators. I was running Philips SilverVisions up to now, which avoid the egg-yolk look nicely, but are pretty slow flashers, almost as if they're being faded in & out. There is no error code and the light from the LED bulbs is, if anything, brighter than from the SilverVisions, and just as orange. The LEDs are white and can therefore not be seen from the outside Expensive at £20 per pair, but they do look good. Available from this eBay seller. Last edited by Frog; 09-19-2012 at 10:02 AM. Are the LED bulbs just a straight replacement for the standard ones or do you need to do anything else? I considered the LED thing to be just one of the latest fads that were desirable only because they were different. Frankly, I did not like the look of most cars I saw with LED tail lights since the main appearance difference was that they looked like a bunch of small bright dots versus a uniformly lit panel. However I did notice that the LED's have a quicker "response" time for what it's worth. These are just plug & play. They're expensive becuase they have built-in resistors to trick the car into thinking they're ordinary bulbs. That's how they avoid the error message and the extra rapid flashing. I agree they're a bit of a fad, but I just like the way they flash cleanly on and off rather than the fading in and out. Especially if it saves you from a trip to the body shop. (which I detailed in this thread eons ago) Is that where you first researched your options by chance Frog? I guess that is the argument also from the trendy types that like the latest and greatest new thing like trippy looking daylight running lights and led tail lights. I seriously doubt though if having the brake lights coming one a nanosecond or two quicker makes any difference in safety versus a standard bulb. But it sounds better to say you opted for the led lights for safety reasons versus fashion. I believe the improved LED bulb activation being a fraction second faster than a halogen really begins to make a safety difference at highway speeds. Even a 0.5 second improved reaction time to begin an emergency stop at say 60 mph equates to 44 feet. Alot can happen (or not happen) in that distance. Nothing trendy about it at all since with the stock lenses there is no change in appearance. 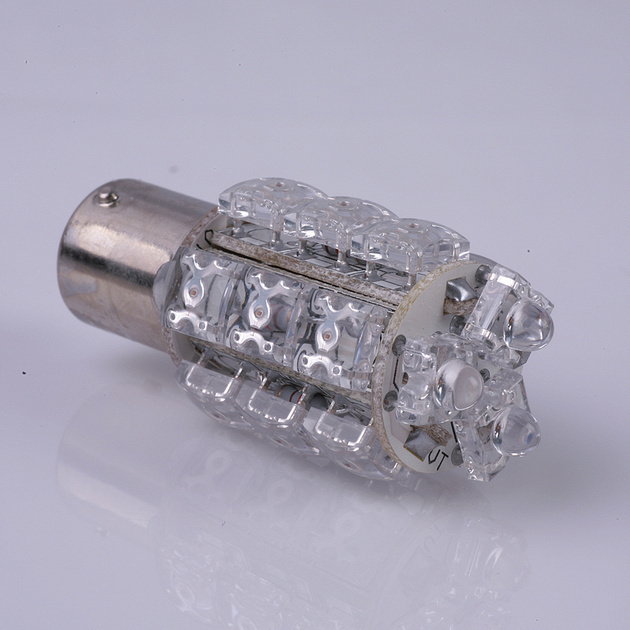 In addition it is possible to suggest that as a longlife device, there is a reduced chance of driving around with a blown bulb. A blown bulb is spectacularly ineffective as a warning device. The safety benefits are real. If you want to argue fashion statements, is a 2005 Jaguar XJR not a fashion statement? NHTSA has concluded that the faster, crisper on cycle of led brake lights does have a statistically significant effect on the reaction times of following drivers. And the difference is not nanoseconds as you claim but rather in the double digit milliseconds. All documented in scientific papers. Highly recommended. Very well constructed. The module can be wired at the rear fuse box by tapping the wires there and then attached to the fuse box using the supplied double sided tape. Good reputation amongst motorcycle riders who don't want to be rear ended by "cagers". As reported by both riders and drivers on other forums, following drivers tend to leave a bigger gap, change lanes or go around. Any one of those is just fine. As for DRL's, they were first used and studied in Scandinavia in the 70's. The inter city bus service cut accident rates by 70 percent in a carefully controlled government study. That's a big honkin' bus the size of a Greyhound bus. Apparently, people do need help to see oncoming vehicles. Last edited by plums; 09-21-2012 at 03:49 AM. True, and NHTSA agrees with you. Cabin Fuse Box - Fuse #43 - SDD experiences!